Aceites Malagón S.L. is a highly experienced family company. It was founded in 1980 and is dedicated to the production, packaging and commercialization of high quality Extra Virgin Olive Oil (EVOO). The firm is located in (a small village called) Malagón, right in the heart of Montes de Toledo, and is one of the most prestigious and renowned Designations of Origin within the Spanish and the world olive markets. Surrounded by vast expanses of “Cornicabra” olive trees, the goal is to ensure that the olives, fresh and clean, picked from the trees take only a few hours to be sent straight to our milling facilities within just a few hours. This allows to obtain an olive oil that retain all its distinguishable properties of aromatic intensity, fruitiness and structure, along with its title as “extra virgin” given by the tasting and control panel of the Designation of Origin Montes de Toledo. We are talking about an oil whose standard of excellence has allowed us to acquire prizes and mentions, both in quality contest and references in Spanish gastronomic press. Aceites Malagón S.L., has a wide variety of products. Our main one is the Extra Virgin Olive Oil (EVOO) with Denomination of Origin, directed to grand cuisine. We also elaborate an original range of oils flavored to rosemary, thyme, garlic, black pepper and barbecue; as well as special vinegars to combine with these oils, with the aim of offering a complete set to gourmet products seekers. At the same time and from the beginning, we have to mention that our firm has been selected to produce Extra Virgin Olive Oils (EVOO) with the strict Kosher Jewish certificate, thanks to our organizational and cleaning characteristics. Aceites Malagón S.L. has a long trading tradition, with a strong distribution network throughout the country and a very strong vocation for export. The characteristics of our oil mill and packaging machine, where the latest technology and traditional systems are combined, allow us to keep our olive oil’s bacteria isolated in its deposits and thus serving our customers an olive oil that is fresh and well preserved. Apart from being certified by the EN45011, which requires the Designation of Origin Montes de Toledo, in our firm, exhaustive quality controls are carried out. 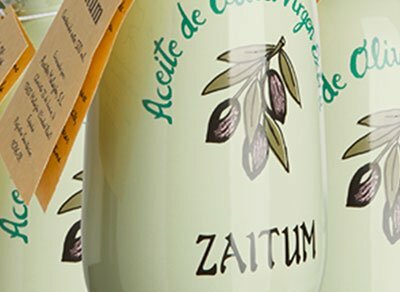 This has allowed us to keep the loyalty of our customers, the main objective of Aceites Malagón. 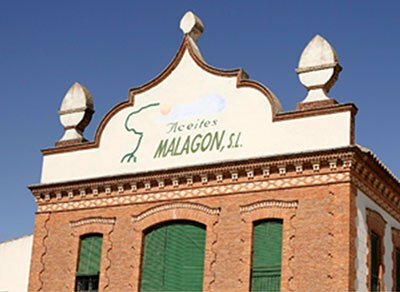 Quality certifications, achieved awards, laudatory references in the press and the customer’s loyalty, make Aceites Malagón one of the most reliable and robust firms in the Spanish and global panorama.